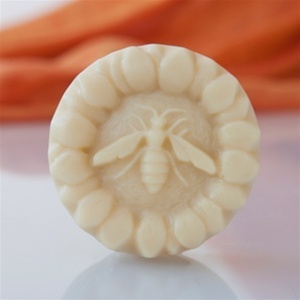 I am pleased to announce that NGY is now stocking Honeybee Lotion Bars from Milk and Honey. These bars are fabulous and created in New Mexico with locally grown products. These lotion bars are a foot balm, cuticle cream, healing salve and lip balm all in one. Lovingly made with nutrient-rich beeswax, almond oil infused with locally-grown, organic calendula flowers and pure essential oils. This is my favorite way to moisturize after having my hands in water all day with the yarn and dyes. I can resume spinning, knitting and crocheting without any greasy residue left over. I adore the Citrus Petroglyph Spiral bar! It’s not too late to order for a stocking stuffer – it also makes a great gift for the non-fiber people in your life!